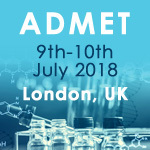 The annual ADMET conference is returning to London, UK for its 13th year running and will be taking place at the Holiday Inn Kensington Forum on the 9th and 10th July 2018. The two-day conference will be focused on exploring the optimisation of ADMET modelling techniques, preclinical DMPK applications and the development of biopharmaceuticals. Event highlights include the discussion of cutting-edge toxicology research strategies and how they enable the early prediction of drug-induced liver injury, as well as exploring the correlation between drug exposure, efficacy and toxicity in transporter-mediated drug interactions. Genentech will also be speaking about their novel hepatocyte transporter assay, used to predict the pharmacokinetic profiles of target compounds. The unique applications of PKPD modelling in oncology and advances in models for the prediction of human drug metabolism are also hot topics to be discussed at the conference. Eric Blomme, Vice President, Global Pre-Clinical Safety, Senior Research Fellow, AbbVie, has been announced as the chair for the event. He will be giving a presentation on Novel technologies and computational tools in discovery toxicology: opportunities and challenges. Mr Blomme will discuss driving nonclinical safety-related attrition to sustainable levels, technologies to define target-related safety, computational prediction of off-target interactions and the opportunistic use of in vitro models to tackle complex toxicity issues. How advanced are our in vitro discovery toxicology assays for predicting DILI risks? Impact of target interactions on small-molecule drug disposition: an overlooked area?